Invest in people of the cross-border area – MicroStars: a programme focused on promoting sustainable economic and social development in the border areas and assisting co-operation for addressing common challenges in fields such as the environment, natural and cultural heritage and public health. It is being implemented under Priority Axis 1: “Enhancement of cross-border economic development” of the “Greece – The former Yugoslav Republic of Macedonia IPA Cross-Border Programme 2007-2013” a cross-border cooperation programme which is co-financed by the European Union under the Instrument for Pre-Accession Assistance (IPA).The PROFIT developed platform could serve as powerful educational tool to help new entrepreneurs improve their financial literacy and skills and make more informed decisions. Likewise, PROFIT could collect financial educational material collected by the MicroStars projects for their training seminars for new entrepreneurs. HackAIR: an EU-funded project aiming to develop an open technology platform for citizen observatories on air quality. It is supported through the EU programme on “Collective Awareness Platforms for Sustainability and Social Innovation” until December 2018, same as PROFIT. The two projects although targeting different goals, share a lot of common challenges by aiming at developing platforms co-created by European citizens for European citizens towards promoting awareness on different but critical sustainability issues, through the use of crowdsourcing and engaging tools.PROFIT and HackAIR projects recently cooperated and produced their common proceedings published by the Lecture Notes on Computer Science (LNCS) by Springer with the name “Collective Online Platforms for Financial and Environmental Awareness”. Internet Science Community: the Internet Science Community arose by the former Network of Excellence in Internet Science (EINS), an FP7 NoE consisted of 47 partners, that officially ended on June 2015. The Internet Science Community remains active and yearly organizes the International Conference on Internet Science, discussing on crucial questions related to the human-Internet interrelations. Internet Science and CAPS area are closely related, since the former provides the scientific means for the realization of the CAPS goals.PROFIT has supported the organization of the 3rd International Conference on Internet Science (INSCI 2016) held in Florence on September 2016 by co-locating its workshop, submitting and presenting PROFIT work and participating in the CAPS roundtable discussion held during the first day of the conference. Moreover, PROFIT people are involved in the organization of INSCI 2017 that will be organized in Thessaloniki. Social Sentiment Indexing: the SSIX project aims to provide European SME’s with a collection of easy to interpret tools to analyse and understand social media users’ attitudes for any given topic. These sentiment characteristics can be exploited to help SME’s operate more efficiently resulting in increased revenues. In the frames of the WP4 of the PROFIT project, the methods and tools developed in SSIX project could be used in order to reach a more advanced level of sentiment analysis. Citizen’s Dashboard of Finance: a project being developed by Finance Watch, an independent non-profit members’ association set up in 2011 to act as a public interest counterweight to the powerful financial lobby. The Dashboard is a civil society initiative that aims to answer the question: is finance serving society? The three dimensions of the project are to define what society wants from the financial system, measure how well the financial system is meeting those goals and change the financial system to make it serve society. Finance Watch was invited and joined PROFIT’s User Forum committee and was presented during the first User Day in Brussels in March 2016. Child & Youth Finance International: an organization working to create policies and programs that make children and youth able to learn about money, have access to a bank account, develop entrepreneurial skills and, most importantly, to believe in themselves. PROFIT and Child and Youth Finance International collaborated for the organization of the 1st User Day in March 2016 in the context of the Global Money Week that was organized by CYFI. It is envisaged to continue exchange of experience and best practices with PROFIT, thanks to the involvement of CYFI in the PROFIT User Forum Committee. Social Economy Institute: the Social Economy Institute in Thessaloniki, Greece, is dedicated to the development of Social Economy, Social Entrepreneurship and Social Impact Investments. 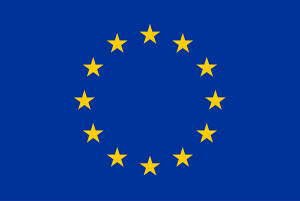 They contribute to the inception, quality implementation and social impact measurement of research and development projects throughout the European Union; offer expertise to public, corporate and collective organizations for policy forecast, social innovation, sustainable urbanization, industrial design and systemic experimentation projects; and assist individuals, vulnerable social groups, refugees and migrants in materializing promising vocational and personal development trajectories.Its founding member has joined the PROFIT User Forum Committee, since PROFIT and the Institute’s goals are in the same line. EDM Council: a non-profit trade association founded by the financial industry to elevate the practice of data management as a business and operational priority. The Council is a leading advocate for the development and implementation of data content standards and the publication of data management best practices. Organization for Economic Co-operation & Development (OECD): an intergovernmental economic organization with 35 member countries, founded in 1960 to stimulate economic progress and world trade. It is a forum of countries describing themselves as committed to democracy and the market economy, providing a platform to compare policy experiences, seeking answers to common problems, identify good practices and coordinate domestic and international policies of its members. 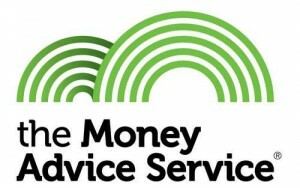 Money Advice Service UK: an organization that provides free-of-charge advice on money and financial decisions to people in the United Kingdom.It is an independent organization whose statutory objectives are to enhance the understanding and knowledge of people about financial matters (including the UK financial system); and to enhance their ability to manage their own financial affairs. Athens Stock Exchange: The Athens Stock Exchange or ASE or ATHEX (Greek: Χρηματιστήριο Αθηνών or ΧΑΑ) is a stock exchange located in Athens, Greece. It started its operations in 1876. There are five markets operating in ATHEX: regulated securities market, regulated derivatives market, Alternative market, carbon market (for EUAs) and OTC market.